Who we choose to educate us, and what form that education takes, is among the most fundamentally important decision we make. Each day we learn more, and are directly influenced by the information we allow into our world: the news channels we watch, the communities we live in, the websites we visit. How you choose to educate yourself is a critical decision in all aspects of your life. 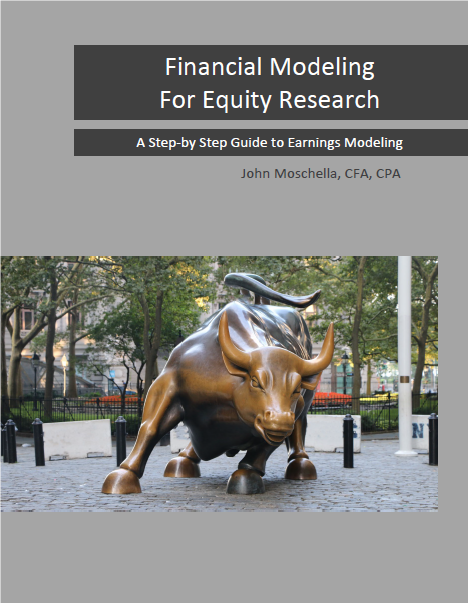 Your education in accounting, finance, investments, and financial modeling is no different. At Gutenberg Research, we have three unique ways to educate our community members: 1) a comprehensive Certificate in Financial Modeling Program, 2) a self-study textbook Financial Modeling for Equity Research, and 3) an introduction to financial modeling intern program for university students. Our Financial Modeling Intern Program is a part-time, virtual internship, which simulates the experience one would receive working as a sell-side Research Associate at an investment bank. We teach our interns how to use models to estimate a company's future earnings, and publish their work to showcase their modeling skills to future employers. The intern program is designed as an introduction to financial modeling, focused on model calibration and forecasting. No prior experience is required to participate.